Currently decked in holiday finery, the dining room of The Rosemont Inn will become a dining car for the New Year’s Eve murder mystery. 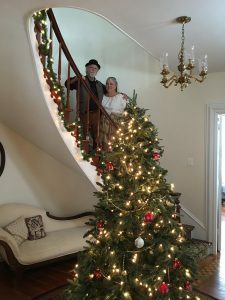 Peter and Penny Eldred (above) look forward to taking guests back in time for “Last Stop Murder,” which will wind down just in time to ring in the new year. Those looking for a unique way to ring in the new year while also stepping into the past need look no farther than The Rosemont Inn, 165 Lake Avenue, Montrose. New innkeepers Penny and Peter Eldred invite the adventurous and the curious to participate in a murder mystery adventure called “Last Stop Murder.” The fun begins at 5 pm on Monday, Dec. 31 and culminates at midnight. “I would want to think that everyone would want to do something totally different for New Year’s Eve,” said Penny, who got the inspiration to bring interactive events to the bed and breakfast from similar venues across the country, including the Roosevelt Inn in Coeur d’Alene, ID, where murder mystery dinners have become a regular feature. “I’d like this one at The Rosemont Inn to be the first of many, and I want to create them to reflect characters from our past at the Inn, as well as the local area,” Penny remarked. To test the waters, the Eldreds are employing a script that is part “Murder on the Orient Express” and similar to the board game “Clue.” Guests can participate as little or as much as they like in the drama, but Penny needs to know up front who she can assign to which roles, as each is crucial to the plot. There are a number of key male characters woven into the story line. “As people register, I will get information and decide what part fits them best,” she explained. The setting is an elegant Russian passenger train in the 1950s. Not too long after hors d’oerves are served, one of the guests will disappear and their untimely death will be announced. “Who done it?” is of course the biggest question, but guests will need to search for clues and figure out whom they can trust to answer their questions. Was it the scientist? The maid? The bellhop? The princess? Or the student? There will be investigators, and there will be spies. More than one person may be guilty of the heinous crime. Shrimp cocktail is just one highlight of Round 1 of the event, and Round 2 will feature a sumptuous dinner in the “dining car” that will include Cornish game hen, roasted rosemary potatoes, a salad, and a dessert of chocolate truffle with a raspberry sauce and fresh raspberries. The suspense will continue to build into the evening as the year winds down. Period music and sound effects of the train moving through a swirling snowstorm will add to the unsettling ambiance. Guests are encouraged to come in period costume, as prizes will be given to the best dressed just before midnight, as well as to those who have successfully solved the mystery. As the old year wanes, guests will move out to the west porch from which they are afforded a striking view of downtown Montrose and the courthouse clock tower. 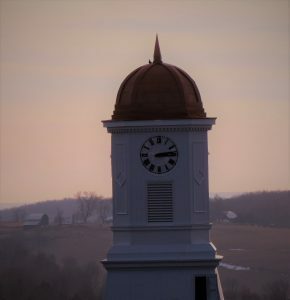 A champagne toast will be enjoyed by all as the historic clock strikes twelve. Cost for participation in “Last Stop Murder” is $65 per person and $125 per couple. The price includes hors d’oerves, dinner, non-alcoholic beverages during the evening and the champagne toast. Guests are welcome to bring alcoholic beverages and to add a favorite dessert to the buffet. Book a room for an overnight stay that also includes breakfast for $200 per person or $250 per couple. or send an email to therosemonthinn@gmail.com. Future events at The Rosemont Inn will include a presentation by a nationally renowned pastry chef, Valentine’s and Mother’s Day teas, and a quilting retreat. 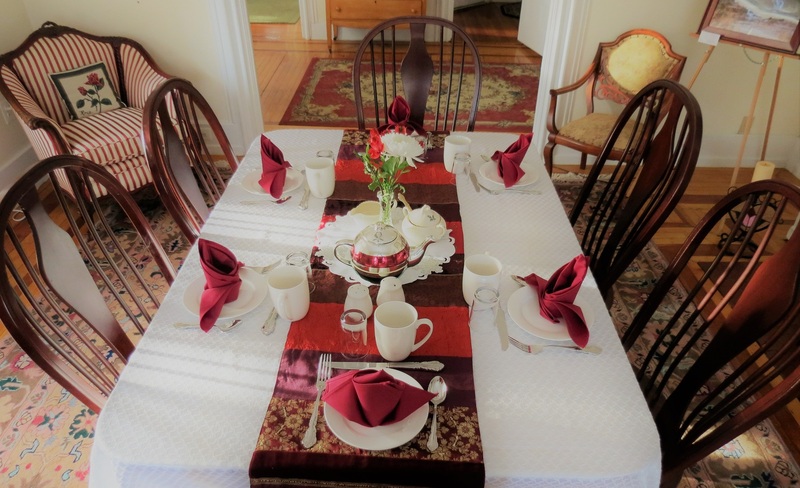 For updates, follow The Rosemont Inn Bed & Breakfast on Facebook.